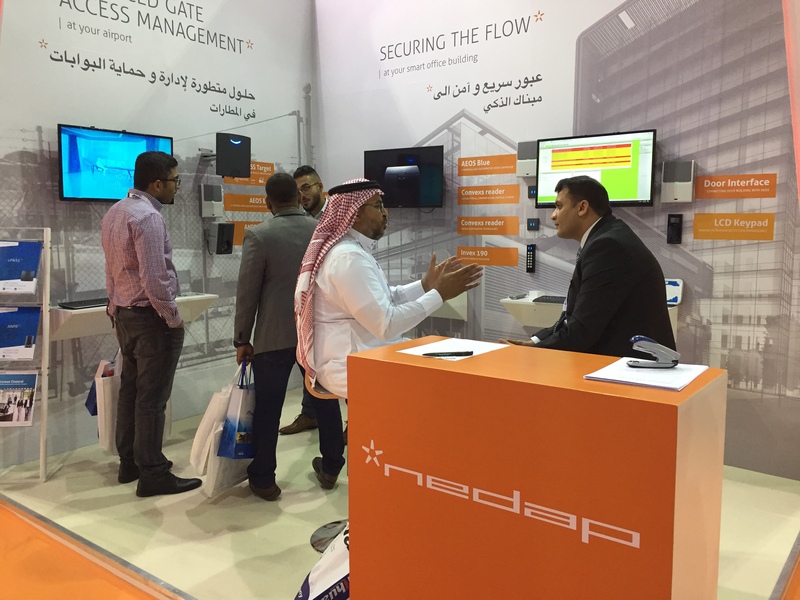 Nedap will showcase its new end-to-end security for AEOS access control at Intersec Saudi Arabia in Jeddah (14-16 April 2019) and will demonstrate the benefits of integrated intrusion detection. Nedap will launch ANPR Lumo, its advanced Automatic Number Plate Recognition platform, to the Middle East Market at this event. Visitors to Nedap stand – B28 will be able to see and test variety of other products for long-range vehicle and driver identification. Nedap’s end-to-end security for AEOS is designed to protect your physical access control system from cyber-attacks and card cloning. It meets the highest security requirements globally by applying the IT security principles of encryption and strong authentication. DESFire keys and digital certificates are stored safely out of reach of attackers in Secure Access Modules (SAMs). This means communication between door controllers and server is secure, which prevents hackers cloning access cards or opening doors remotely using unauthorised IP devices. It also allows you to update card keys and certificates securely from one central point. Nedap will also show the event’s attendees the benefits of integrating intrusion detection with access control, so access is only granted when the alarm zone is disarmed. AEOS Intrusion allows you to easily arm and disarm your system – for one location or for all your sites worldwide. And, because it uses your existing controller, it’s incredibly easy to scale. You can add unlimited new users, areas, zones and locations through AEOS, anywhere in the world. Versatile readers such as Invexs 170 and Convex will feature on display. Visitors can have a quick demo on how these readers can be used with AEOS in different scenarios like anti passback, presence list production, emergency assembly, remote configuration and more. ANPR Lumo, which will be introduced to the Middle East market at Intersec, is Nedap’s all-in-one license plate camera. It ensures high accuracy and smooth recognition of vehicles – even in regions where licence plates feature different font formats. Deep learning algorithms enable a high accuracy, including Arabic letters & numbers. Typical applications include vehicle access control, automatic toll collection and free-flow entry to car parks. Also, on show at Nedap’s stand is TRANSIT Ultimate. An extremely robust RFID reader, it enables vehicles and drivers to be identified simultaneously in high-security scenarios with challenging environmental conditions. At locations such as airports or military bases, for example, where vehicles are assigned to specific drivers. uPASS Reach, Nedap’s cost-efficient UHF RFID reader for long-range vehicle identification will be in action too. It’s ideal for convenient vehicle access to areas such as car parks or gated communities.